I feel like there are two camps; the legging haters and the legging lovers. I have to say, I'm a legging lover. 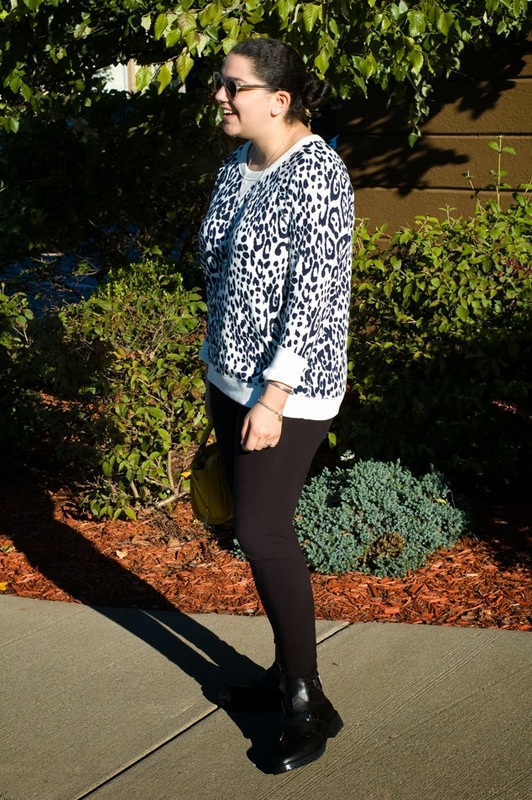 Nothing is more satisfying than wearing a good pair of leggings when you don't want to sport restricting jeans. I hope I didn't just commit fashion suicide with that statement. I like the combination of the sweater with the bag! the trick is to find the right pair of leggings, right? i have a pair my sister gave me with an awesome seam down the front (almost like riding pants)....they are structured in a way but still comfy like leggings should be. and the fabric is thick enough to (ahem) hide what it should. love this look. love this outfit. 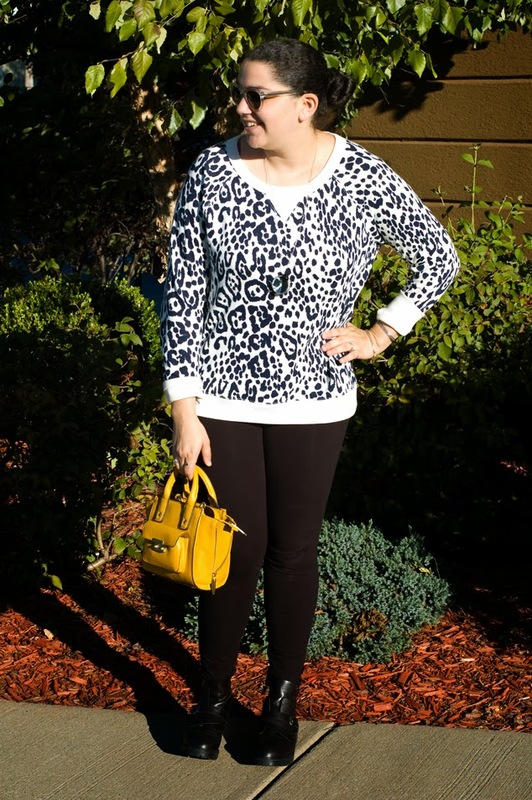 the pop of yellow looks amazing with the white leopard print. and i couldn't agree more that some days you just need the comfortable embrace of a perfect pair of leggings!